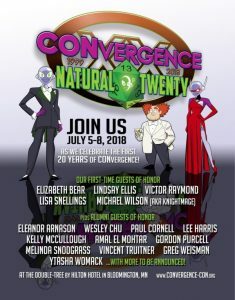 CONvergence is one of my favorite cons, and not only because it’s close to home. It’s a fantastic, intense, and every year I go I find something new. 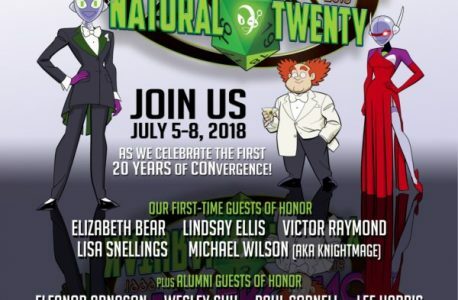 The convention sprawls across several hotels, and even with all that space the rooms are packed with awesome fans and some really excellent artists. If you’ve never been, well, there’s still time to pick up a pass. This is an extra big year for them, seeing how it’s their twentieth anniversary. When I’m not in panels I’ll be wandering the halls and just generally interested in meeting people. If you see me there, stop and say hi! Oh, and there’ll be lots of time for drinks. PLENTY of time for drinks.